Hamilton was the quickest during both practice sessions in China – beating his Ferrari rival Kimi Raikkonen 0.3 seconds. The Brit is hoping to win his first race of the season in Shanghai this weekend following disappointing defeats to Sebastian Vettel in Australia and Bahrain. Both drivers are bidding for their fifth world championship this campaign in a battle which is expected to go right down to the wire. But Hamilton wants his team to make a few changes to his car to get him in shape for qualifying on Saturday. “The balance of the car is good but we have some fine-tuning to do on it tonight,” Hamilton said. “When I got to Shanghai the weather was really good, but it’s gone downhill – now we got the rain and it’s cold. “But it has been a good day, we got through all the laps that we needed and got some good feedback about the car. 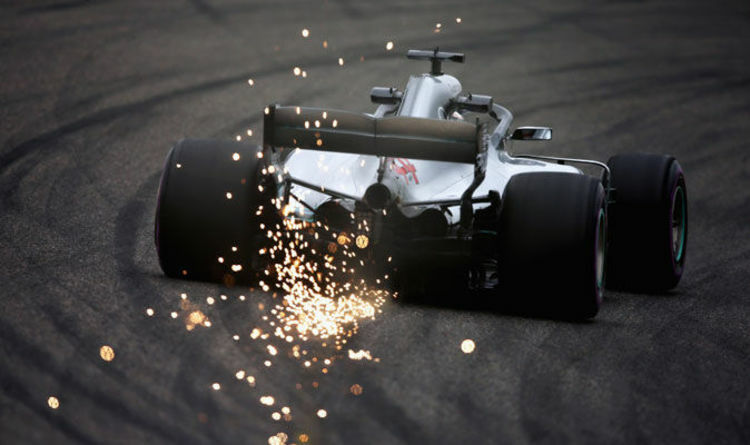 Hamilton also admitted that he expects Ferrari and Red Bull to put up a tougher fight in qualifying than they did in practice. “Ferrari were quick and Red Bull looked really fast on the long run,” he added. “It’s good to see all the times so close, but it means that we really need to bring our A game.